Hearing about this book being praised for having a unique ability to explore the religious belief "from the inside", and realizing that it was actually the explicit aim of its author, I really can't help but giving it a low rating. I believe it fails as regards its central premise, and apart from that it had a boring story that didn't at all provide me with an enjoyable experience while reading the book. 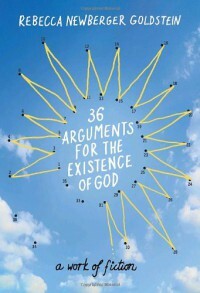 Apart from the fiction part of the book, there is an appendix that actually examines 36 serious arguments for the existence of God and refutes them beautifully one by one. The most ironic thing about this book is that one of the characters foreshadows that the appendix is much more interesting that the book itself. I would have easily rated the book 4 stars if there was nothing but the appendix. It was honest and showed the limitations of reason and the (low) probability of the existence of some deistic entity though not at all a God who gave us the Bible or its likes. Also, the conclusion of the story is damnable and very passive. Apart from the fact that it lacks focus, it was as if the author is encouraging us to fully accept the reality of religions and religious beliefs without the least compromise. I believe that is a luxury we can no longer afford given the realities of the world. 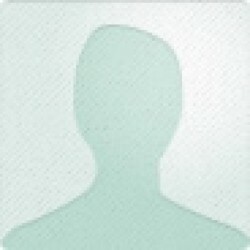 No doubt Goldstein is a very intelligent person and one I would be delighted to discuss many questions with. She explores some very interesting questions sideways, like immortality, suffering, mathematics, but the whole is so lacking and trite that I didn't find anything new that hasn't been discussed many times over in much more engaging books by notable authors who Goldstein (though not criticizing them) seems to not be satisfied with. There is an actual debate in this book a la Hitch vs. Dinesh D'Souza that surprised me with its cliched arguments for the existence of God, where the main character demolishes the religious side. I was really surprised at one point to see the religious actually defending the Judeo-Christian morality. I believe there are lots of arguments for the existence of a deity made by people who are near-Deists which though I don't agree with are certainly more engaging and fun to think about and grapple with.